Whether you’re a startup or a seasoned brand, today is an exciting time to be part of the CBD revolution. The industry has seen a huge boom in the last few years with experts estimating about $591 million in hemp-derived CBD products for 2018. This is also thanks to the 2018 Farm Bill changes that removed hemp from the list of controlled substances, everybody has been seizing the opportunity to grow their stake in the green rush. 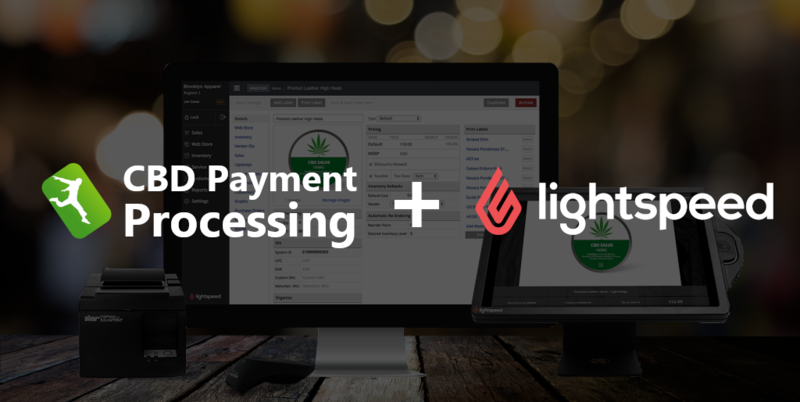 Thanks to this revitalization of the industry, CBD merchant accounts, CBD point of sale equipment and software like Lightspeed® are available to thousands of merchants previously left in the dark. However, operating a business in the CBD industry was not always as easy as it is today. For years, CBD was tied directly to marijuana at the federal level. And although knowledge of the distinctions between CBD and THC spread throughout the public, large financial institutions wouldn’t risk getting involved with CBD businesses. It was nearly impossible for smaller businesses to get a bank account or apply for merchant services to accept credit card payments. The lack of credit card processing for CBD products forced a lot of legitimate businesses to either only accept cash payments, find less than scrupulous backdoors to getting through the bank’s underwriting processing, or unfortunately, many ended up closing their CBD shops. For the businesses that took cash only, they missed out on 2 to 3 times the volume of sales they could have generated. As for the businesses that took less than legitimate routes, they faced constant account closures, exorbitantly high processing rates and having their businesses blacklisted was all to common. CBD merchants did not have a lot of choices when it came to credit card swipers, point of sale systems, online payment gateways or inventory management. Many of these businesses were forced to remain smaller than their potential would have allowed. Imagine doing inventory, customer management and even gift cards all in cash and trying to keeping track of it all on a spreadsheet – No, thank you. Despite the fact that many CBD merchants had been operating within full guidance of the law, the CBD oil industry faced a desperate lack of business support and modern payment amenities. This left a lot of CBD businesses, both small and large, feeling like illegitimate enterprises, operating in the shadows waiting to be punished by the law. Needless to say, things were not easy and the options for operating your hemp oil business as a legitimate establishment were difficult. Luckily, the year is 2019 and things have changed in the better for CBD businesses. Thanks to the 2018 Farm Bill and select banks willing to take the first steps, CBD companies are finally starting to get the services previously only given to traditional retail shops. Gone are the days of calculators and cash boxes. Instead, CBD shops are now able to use full fledged credit card machines equipped with EMV chip card readers, NFC mobile payments and bluetooth. Companies like Leap Payments have partnered with domestic, US banks to provide legitimate credit card processing to CBD vendors. Quickly growing to being the largest CBD merchant account provider in the US, we have made it possible for these smaller CBD businesses to grow into their own maturity. Unlike some of the other high risk processors of the past, with hefty promises and lack luster execution, these CBD merchant services were not located overseas or through unstable, international banks. It’s thanks to this fact that Leap Payments set out to do the unthinkable, offer their CBD merchant services at affordable, reasonable prices. While the industry had thus far been trending in a vicious cycle of inflating prices (often in excess of 5%) combined with a customer service attitude of “you get what we give you, be thankful”, we took the road less traveled. Low processing rates paired with industry award-winning customer service are the Leap Payments promise. Now, the perfect POS system to complement your CBD merchant account. Enter Lightspeed® POS software. Providing all of the much needed organization and productivity to a CBD business owners fingertips. Manage customers, inventory and employees all in one easy system. Lightspeed® has been around since 2013 and is a merchant favorite with over 50k users. 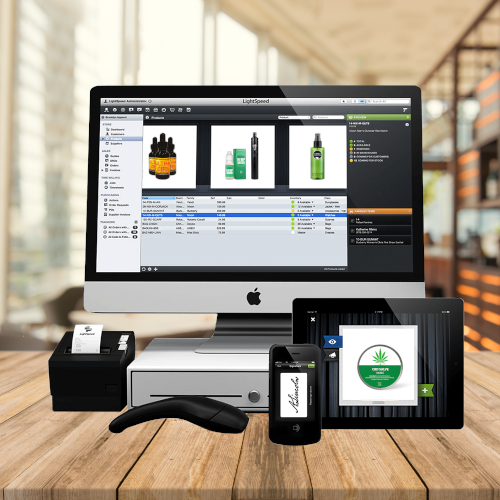 Now, with the regulation changes on hemp oil, CBD merchants can now take advantage of this amazing POS system. CBD businesses are now able to move out of the shadows and flourish along with the growing public demand for their products. Lightspeed® allows you to integrate to iPad POS Systems, mobile credit card readers and computer desktops. Bring your CBD shop into the 21st century and provide the comfort and convenience customers have come to expect. Sell What You Want, How You Want. Leap Payments and Lightspeed allow you to easily integrate with hundreds of the most popular ecommerce shopping carts. CBD payment gateways for Woocommerce, Magento, Shopify, Opencart, Big Commerce, Amazon and many more.